Firstly, can I just say I’m a chartered Electronics Engineer. I only say this to ensure you that I have researched a lot of what I’m about to say. This includes the opinions of battery engineers involved in large solar systems and highly qualified engineers connected to government projects. 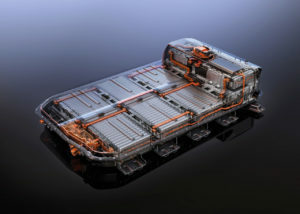 Firstly, the latest designs of batteries that are used in mobile phones, electronic devices, airplanes, and in car production, are basically unstable. Overcharge, or uncontrolled discharge, will cause the battery to overheat and in some cases burst into flames. You may recall the Thomson Dreamliner first flight (Press quote ìSo far, 50 Boeing Dreamliners have been delivered to airlines, but all are currently grounded due to concerns that one of the lithium-ion batteries on board could leak, potentially causing fires.î) You now can’t fly unless you have all your electronic devices with you, in case a fault condition may occur and cause overheating. The cabin crew have been trained if such a thing should happen, so they can contain the issue. Secondly, to create the latest batteries you need rare minerals to be mined. There are already purchasing problems, with suppliers of these materials holding buyers to ransom. Let’s move on. The batteries used in cars/4x4s are of some considerable weight, making the vehicle have a large inertia when travelling at speed. Imagine a multiple car accident on a highway where fault conditions could easily happen ñ fires everywhere. Service station with multiple cars requires hour long recharging. Let’s have another look at these traction batteries; car manufacturers are offering insurance policies for replacement batteries once they have passed there usable life. Why? Because you can’t recycle them. Except to make a second class, limited use, item. This has to mean acres upon acres of unusable batteries to be disposed of ñ an eco-nightmare! This just hasn’t been thought through. The modern diesel/petrol engine is high powered, with low fuel consumption and now massively reduced emissions. Diesel Car magazine is constantly updating on alternative styles of fuelled motor vehicles, and we hope that you continue to do so. But electric cars are not the way forward. Large car manufacturers have encouraged the government to support battery cars but, I would suggest, the only reason for this is the massive investment they have put into this. This is written with all the best intentions. However, for now I’m a Diesel fan through and through, until there is suitable alternative. Point taken about Li-ion batteries in portable devices Martin. The world is so hooked on them that nobody would dare do anything more serious about it. Meanwhile, some poor old sod who doesn’t keep up with things gets his bottle of shampoo, a bottle of Gaviscon, and a pair of nail scissors confiscated at the airport security check! I take on board the inertia situation with the formidable weight of battery packs. I’ve not previously really considered that angle, but then I guess that it’s really no worse than a truck hitting a small car. The on-road recharging situation is of great concern though. People are not aware of the energy losses of fast charging, nor the thermal management that is likely to slow down your fast charge, supposedly to prevent overheating, but also to avoid premature loss of capacity due to frequent fast charging. I believe that the new Leaf has a habit on long journeys of the charge rate dropping to around half the declared figure on your third charge of the day, if you can find an empty charging point. Have you looked at the prices of on-motorway charging? Will Tesla charging remain free… there will be a lot more than “Twelve Angry Men” if Tesla goes bump! I have calculated that, if a future chancellor should seek to recover the lost tax/duty revenue from the switch to electric vehicles, he/she would need to add about 15p/kWh to the existing circa 10p/kWh that is the best real cost today. So that 25p/kWh pushes up the energy costs per mile from maybe 3p a mile to 8 to 9p/mile, which is not much less than a good internal combustion-engined car can deliver, with better regenerative braking, and sensible power-to-weight ratios. Of course this is, I believe, the hidden agenda behind the Smart Meter campaign, and I’m surprised that nobody (even the national press) seems to have cottoned on to this. It would allow “them” to charge different tariffs for car charging and domestic power, by virtue of the ability to segregate the circuitry and plug connections for vehicle charging. As for using EV batteries as energy storage to smooth out time-of-day peaks and troughs, that’s another dream that I don’t see being fulfilled. Or if it goes to simple ìRoad Chargingî it would need to be a toll of something much the same, of around 5p a mile, every mile, or around £400 a year for 8,000 miles a year motoring. Hmmmm. It might not go down very well with the voters! But for goodness sake, most of these problems arise because people and manufacturers are immediately demanding the flexibility of fossil fuel cars from electric vehicles. But the really challenging problems are in the cities ñ congestion, air pollution, parking, and so on, where range is not critical. Where is tomorrow’s (they should be today’s!) compact electric city cars, to replace dirty, over-sized, and unnecessarily powerful hatchbacks and SUVs? Not to be seen yet ñ because there’s no money in it for manufacturers, I guess. It’s all a big mess, and I can’t see any easy ways out now. I sometimes think that another world financial crisis would be a “good thing”, because today’s world is full of too many dreamers, borrowers and idiots. Always good to hear from kindred spirits Martin. Do please continue to keep me fuelled with provocative material like your last e-mail, for which I send many thanks!